Thus far, Washington University (WashU) in Saint Louis has been an experiential and knowledgeable clinical site for both Saint Louis University’s Professional Year (PY) I and II students. At WashU, Athletic Training students are able to apply knowledge gained from a lecture based environment to a hands-on role, including wound care treatment, modality treatment, and injury assessment. In addition, PY I and II students are able to develop and guide a rehabilitation program that allows an athlete’s return to play getting the athlete back to play quickly but not before they are fully healed. 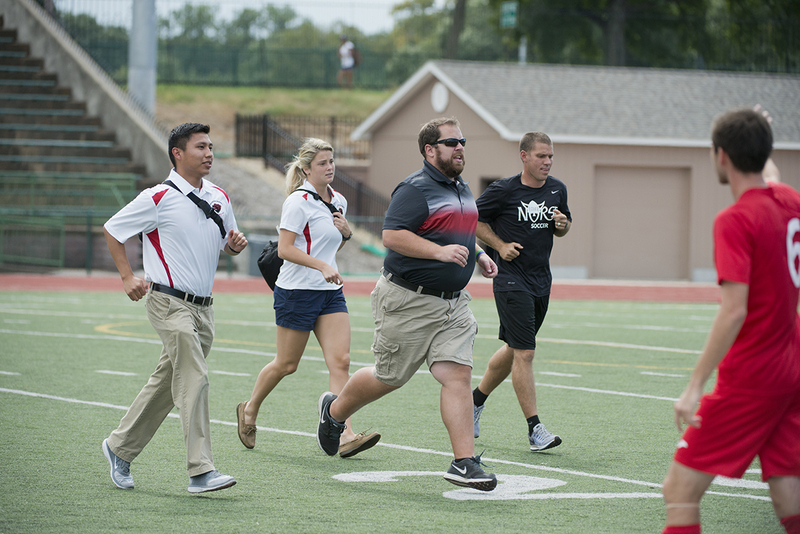 An athlete’s return to play is achieved with the collaboration of athletic training students and the interaction of certified athletic trainers. 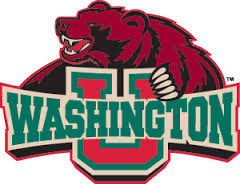 The certified staff at WashU includes Head Athletic Trainer, Rick Larsen ATC, and three assistant Athletic Trainers, Jim Anderson ATC, Jacob Blasingame ATC, and Mary Tarzon ATC. Working under and in collaboration with all four Athletic Trainers has definitely been one of the unique and beneficial aspects of being placed at Washington University for our clinical experience. For instance, certified athletic trainers allow PY II’s to refine and incorporate skills learned from previous clinical sites while learning new approaches for treatment. In addition, certified athletic trainers, with the assistance of PY II’s, allow PY I students to mold, obtain, and apply new methods of diagnosing, evaluating, and taping; so that, students are able to incorporate to future clinical sites and practice. Furthermore, beyond the collaboration of students and certified athletic trainers, the sport (either Football or Soccer) that the Athletic Training students are assigned provides a variety of exposure to injuries, either acute or chronic. Thus, enhancing students immediate application of hands on experience to injuries gained from class and prior clinical sites. In addition, WashU’s brand new and innovative athletic training room obtained with a variety of equipment (LASER, AlterG, Underwater treadmill, and a rehabilitation area) allows students to apply and gain a variety of skills for future practice. Overall, WashU is an incredible clinical site that aids in our growth and development as athletic training students by always teaching us new, yet diverse, ways to practice our skills.